Dell on Wednesday introduced its first convertible mobile workstation, the Precision 2-in-1 5530. The new system is based on Intel’s newly introduced Kaby Lake-G processors with Radeon Pro WX Vega M GL graphics that is certified to run professional applications. The laptop itself has a lot of similarities with Dell’s XPS 15 2-in-1 hybrid notebook launched earlier this year. 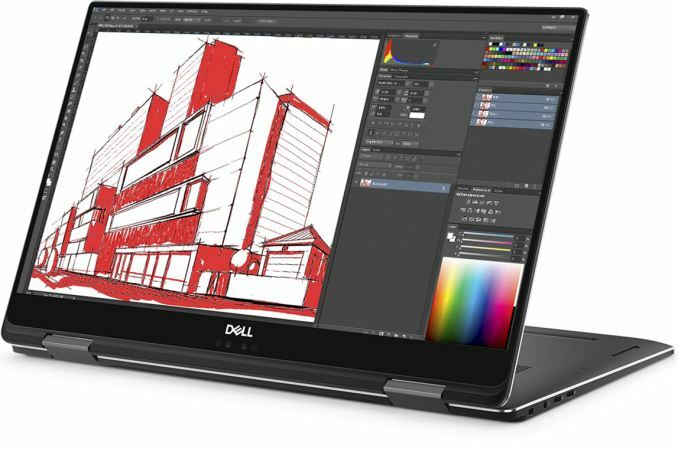 The Dell Precision 2-in-1 (5530) mobile workstations are based on Intel’s Core i7-8706G/8705G or Core i5-8305G processor with on-package AMD’s Radeon Pro WX Vega M GL GPU with 4 GB HBM2 memory. Unlike the Radeon RX Vega M GL GPUs used on regular Kaby Lake-G CPUs, the Pro WX solutions are fully qualified to run professional graphics applications and ship with appropriate drivers. Dell will equip its new laptops with 8, 16, or 32 GB of DDR4-2400 memory with the latter option available only after the launch. Storage sub-system of the Precision 5530 2-in-1 uses SSDs featuring a PCIe x4 3.0 interface and up to 2 TB capacity. As noted above, the Precision 5530 2-in-1 has a lot of similarities with the XPS 15 2-in-1 system. In fact, both convertible notebooks come in a 16 mm thick CNC-machined aluminum chassis featuring a carbon fiber composite palm rest. The machines also offer similar 15.6-inch Full-HD or Ultra-HD 400-nits anti-glare InfinityEdge display panels supporting 10-point multi touch and compatible with Dell’s Active Pen using Wacom AES2.0 technology. Meanwhile, the 4K screen of the Precision 5530 2-in-1 can cover 100% of the AdobeRGB color gamut, whereas the 1K display is only speced for 100% of the sRGB. Because the Dell Precision 5530 2-in-1 is a hybrid PC that can be easily converted into a tablet, it is naturally outfitted with sensors commonly found inside tablets, including gyroscope, magnetometer, and an accelerometer. Physical connectivity of the system is similar to that of Apple’s MacBook Pro 13: it has two Thunderbolt 3 ports (so, if everything is implemented properly, they carry four DP 1.2 streams), two USB 3.1 Type-C headers, a micro-SD card reader (this is something that MBPs lack), and a TRRS audio jack. On the wireless side of things, the Precision 5530 2-in-1 offers two options: Rivet’s Killer 1435 2×2 802.11ac WiFi + Bluetooth 4.1 controller, or Intel’s Wireless-AC 8265 device, also 2×2 with vPro. 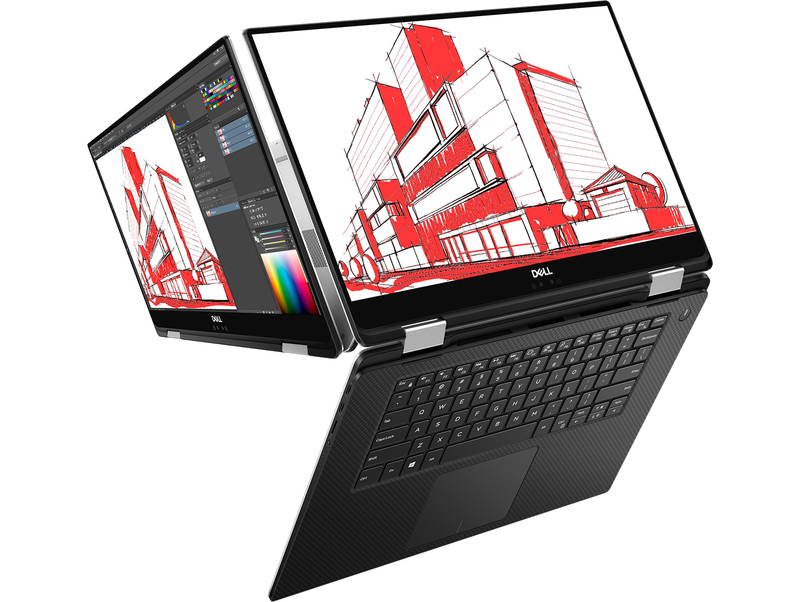 Dell’s first convertible notebook aimed at professionals is up to 16 mm (0.63 inch) thick and weighs around 2 kg (4.36 lbs), which is not too much for a 15.6-inch machine with very decent specs. The manufacturer equips the machine with a 75 Wh battery, but does not specify its battery life, possibly because it is going to heavily depend on applications and workloads its owner uses. 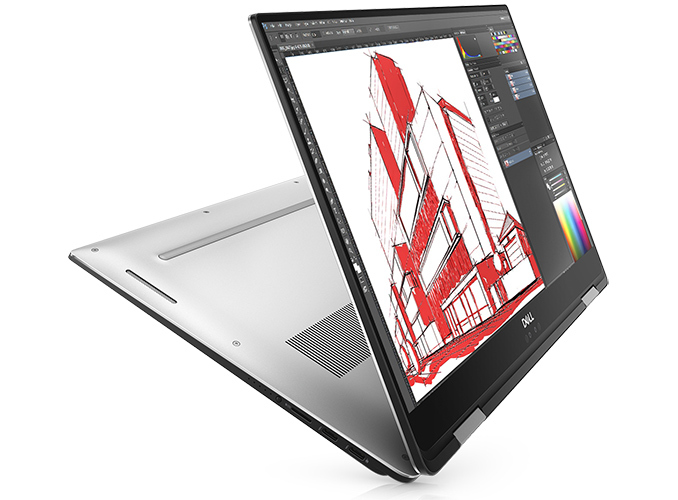 Dell will ship its Precision 5530 2-in-1 convertible workstations with Windows 10 Home 64, Windows 10 Pro 64, Ubuntu 16.04 SP1, or Red Hat 7.5, depending customers' wishes. The manufacturer will start selling the convertible professional mobile PCs later this year, but does not specify their prices just yet. I just love this laptop. Dell workbench's always works better than any-other machine.